An award-winning puppet company is casting a shadow over Forest Grove. 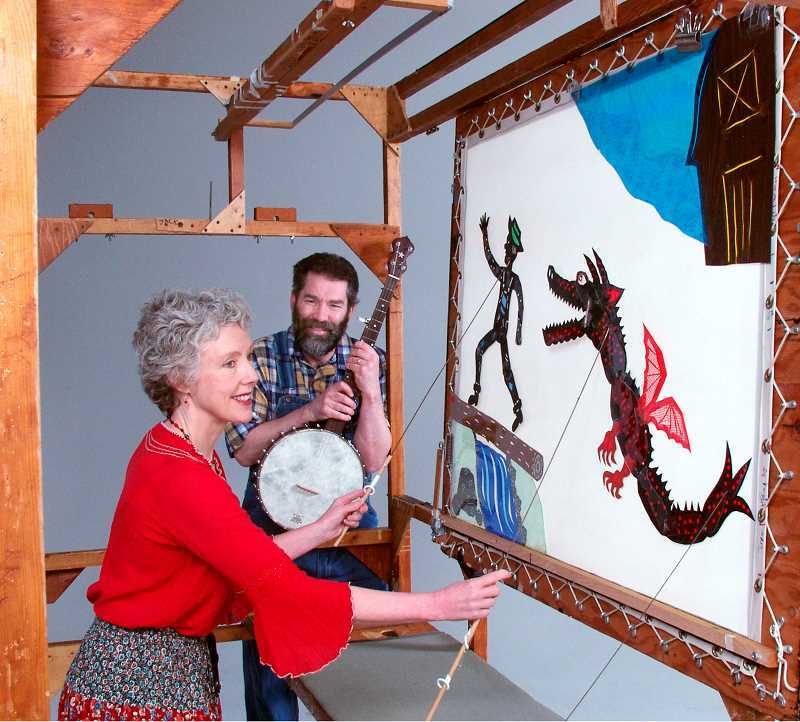 Deb Chase and Mick Doherty are returning to Forest Grove Public Library next week with their travelling shadow play company, Oregon Shadow Theatre. The award-winning company has performed for more than 35 years around the United States and Canada and are active members of Puppeteers of America. 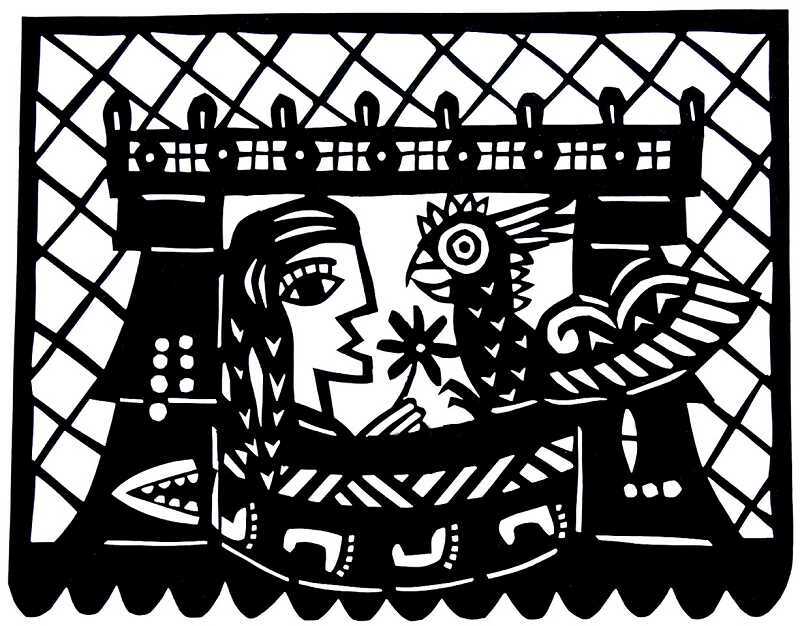 The pair will perform their original shadow play, "The Green Bird: A Mexican Story" at the Forest Grove City Library at 6:30 p.m., Wednesday, Jan. 23. Shadow theater is a longstanding tradition from China and India, spreading into Central Asia, the Middle East and North Africa. With cultural and religious traits, the method of storytelling shared folktales, myths and ballads around the world. To set the scene, a puppeteer places a screen between themselves and the audience, using light and puppets made from parchment, wire, metal and other materials. "It was natural for her," Doherty said. "When we first met, I was studying music and she was just beginning to experiment with shadow theater. She asked me to sing some songs she could make a play to. That is how we first started; I played the guitar and sing her a song, and she would make a play to go with. That is before the grandiose theatrical works like family stories." Oregon Shadow Theatre began in the 1980s, shortly after Chase and Doherty met. Every show is designed by Chase, whose passion for printmaking became a way to tell stories. Chase said she was drawn to the two-dimensional shadow puppets because it reminded her of the printmaking she studied and made in school. "I started making shadow puppets, and I thought of it as film-like," Chase said. "People looked at it and saw me doing it, (and said) they had never seen something like it before." Doherty, a professional musician, provides sound effects for the plays and arranges music during the show, performing on a variety of instruments. "When I was doing research, we found it is almost always traditional to have live music accompany shadow theater," Doherty said. 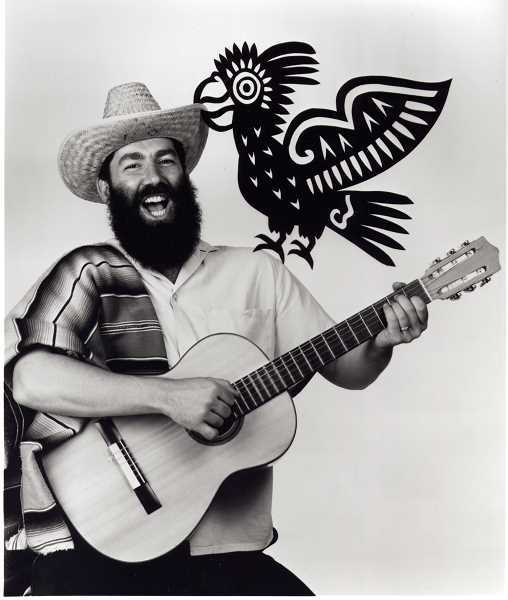 "In this play (The Green Bird), I use some traditional Mexican songs and I wrote my own for the play as well." To design the physical parts of her plays, Chase said she approaches a storyboard like the filmmaking process. 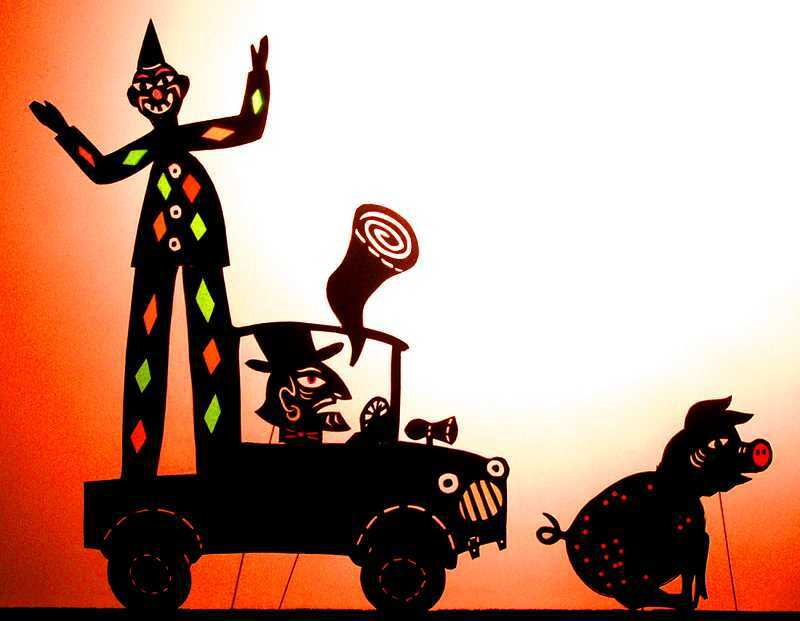 Shadow puppetry separates itself from other styles of puppetry like marionettes because each movement a puppet makes is predetermined and made ahead of time, Doherty said. "The way she designs a story, she may have three to four versions of one puppet," he said. "In the Green Bird, if a bird is closer to the screen, it needs to be bigger, for it to look like it is off in the distance, it is smaller." "The Green Bird," based on Mexican folklore, is a story Chase and Doherty have shared for years. The play features a heroine, something Chase wanted to bring to the forefront because many traditional stories around the world feature male heroes, she said. "I'm thinking of the girls in the audience. Being a woman myself, I think it is important that there isn't just characters that need to be saved by a man," Doherty said. Not only was the story carefully selected, but the artwork in the show was inspired by real-life artists. "She took time to study Mexican muralists and folk art, and reading a lot about Día de los Muertos in particular for this show," Doherty said. After decades performing side by side, the reason why it never gets old is because it is fun, he said. The show is free, and encouraged for all ages and families. "I find it fascinating that one woman sitting behind a lit screen can create an entire imaginary world," Doherty said. "In a world where we are used to super-fast editing and slick digital production, that something so analog can be so captivating. When I am playing music, I am out front so I see what the audience sees. I don't get bored."